Mount Vernon is called "America's Hometown" and was named "Ohio's Most Livable City" by Ohio Magazine in 1994. Established in 1805 by settlers coming from Virginia, they named their new town after George Washington's Virginia estate. Mount Vernon is in many ways like a southern town. Many of its historic downtown buildings including the Woodward Opera House, the oldest known "free standing" opera house in the country, are being carefully restored. Fine craftsmanship is also being restored on more than a few of its historic residences. There is a pride of ownership in Mount Vernon. 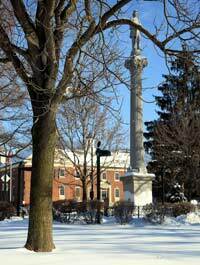 Perhaps the most notable feature of Mount Vernon is the Public Square, the living heart of the bucolic town. A statue honoring those that served in the Civil War is located here as is the Cooper Fountain, named for the man who donated the iron for the fountain, Charles Cooper, who founded the local Cooper Ironworks. In August the city hosts the annual Dan Emmett Music and Arts Festival named in honor of hometown musician Daniel Emmett who is best known for authoring the song "Dixie." Emmett's other better known tunes include: Blue Tail Fly, Ole Dan Tucker, and Turkey in the Straw. The Festival celebrates American music and brings back the nostalgia of our heritage. During the growing season from the first Saturday in June thru the last Saturday in October, Mount Vernon offers a farmers market in the downtown area with over 50 vendors selling fresh fruits, vegetables, baked goods, cheeses and meats. The market is open from 9 - 12 each Saturday morning. Mount Vernon is located in Amish Country so when visiting, be on the lookout for horse drawn vehicles. There are also a number of antique shops in Mount Vernon. Mount Vernon is also home to Mount Vernon Nazarene University that has an enrollment of about 2500 students on a 400 acre campus. Just east of Mount Vernon in Gambier, is Kenyon College. Kenyon College is one of the nation's finest liberal arts colleges and a small school where academic excellence goes hand in hand with a strong sense of community. Originally established as a seminary for young men, it developed into a liberal arts college for men and, in 1969, admitted women for the first time. Kenyon College also as a "no cell-phone zone" where cell phone use is forbidden as students and faculty walk along the Middle Path. It is a self regulating policy and violators will be given warnings from just about anyone. The Middle Path no phone zone is a blessing to many, but an inconvenience to others that don't put much stock in traditions. On the first Friday of each month, from May thru October, downtown Mount Vernon’s South Main Street becomes a pedestrian mall offering visitors a wide variety of entertainment, food, music and shopping. Other attractions include a classic car show, picnics on Public Square and pizza tasting contests round out the fun. Pacemakers Dragway Park located 2 miles south of Mount Vernon on SR3, has attracted motor sports enthusiasts of all ages for over 50 years. The Park roars to life as hundreds of participants fill the parking area every weekend. Since being formed in 1956 by 28 local hot-rodders, Pacemakers has grown to be one of the finest 1/8 mile drag strips in Central Ohio. The smaller track allows the public to mingle with the drivers and find out more about the cars they see racing on the track. 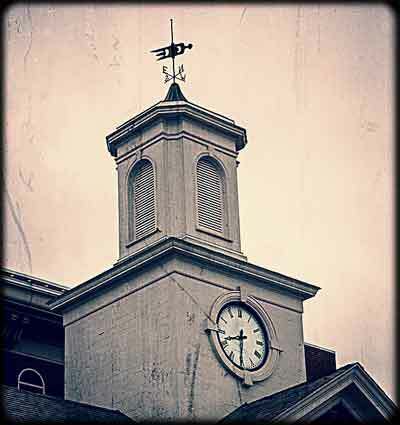 The Baltimore & Ohio Railroad depot is located 5 blocks west of the square on High Street. The brick building served as Mount Vernon’s front door for more than 95 years as a telegraph office, freight and passenger railroad station. Restoration of Mount Vernon’s Baltimore & Ohio Railroad depot began in the early summer of 2001 when a local resident, Phil Samuell, approached Mount Vernon Mayor Richard Mavis about the possibility of the City purchasing the depot and restoring it. The Depot was purchased through a combination of private and local public funds. When restoration was completed, a grand opening was held in October 2007. Total cost for the restoration: $804,435. Today the historic depot is used for meetings and special events and can be reserved for a minimal fee. The depot will accommodate 64 people for a sit-down event or about 100 for a stand-up reception. The depot has a catering kitchen and B&O china place settings for 100. A colorful character from the Civil War, Mary Ann Ball was born near Mount Vernon in 1817. Later she became known as Mother Bickerdyke, a colorful, and probably the most resourceful Civil War nurse. Widowed 2 years before the war began, she supported herself and her 2 sons by practicing as a "botanic Physician". When the Civil War broke out and word came that the field hospitals were in dire need of helped, Mother Bickerdyke took supplies to the front lines and thus began her crusade to help all those in need, from both sides of the fight that would last throughout her life. After the war ended, she worked for the Salvation Army in San Francisco, and became an attorney, helping Union veterans with legal issues. She received a special pension from Congress in 1886, and retired to Bunker Hill, Kansas. She passed away peacefully after a minor stroke. Today there is a historical marker in Mount Vernon's Town Square honoring Mother Bickerdyke.